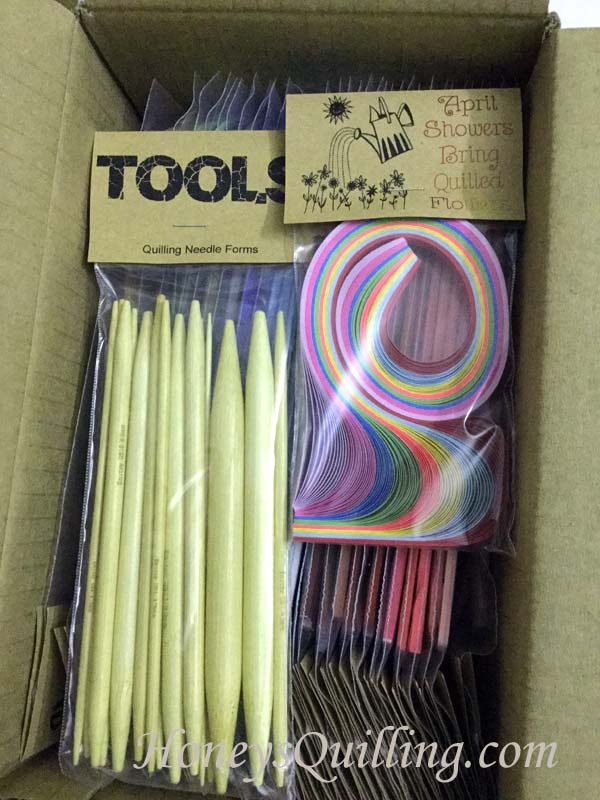 As regular readers will know, I love trying new quilling products! One new quilling paper provider on the market in the US is Little Circles. Erin, the super talented lady behind the scenes, makes colorful quilled jewelry and stunning quilled artwork as well. You can see both on her facebook page and some in her Etsy shop as well. She has also started selling her own line of quilling papers called Culture Pop. I have been eager to get my hands on some for the past couple years, and finally made an order about a month ago. 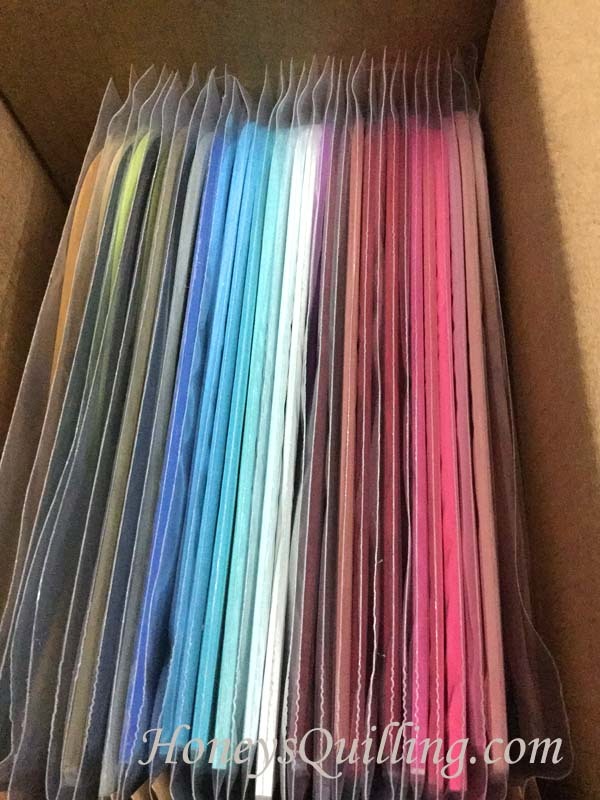 I love being able to have a very wide choice of colors when I make quilled jewelry, so I tried to pick out some hues that were different from any that I have from Lake City Craft or Paplin, the two other brands I use most of. I picked out a blue assortment, a red/pink assortment, and some random greens and some brown shades as well. Next time I’ll pick out even more shades! But this is good for a start. Here are the colors I picked. As you might be able to tell, I have an affinity for red and for natural/brownish hues. I also gravitate towards bright blues and aquas. I’ve got some great design ideas in mind, now I jut need to sit down and get started! But here is what I was MOST excited about: these quilling forms! These are bamboo sticks, softly pointed on either end, with the measurement printed on each one. They are actually originally intended for knitting, but they sure do make perfect quilling forms! I’ve been wanting these tools since I first saw them in Erin’s shop!! I love my Border Buddy, but this makes inside diameters that are a lot smaller than the Border Buddy can do. I’ll definitely be using these on some fun designs with her bright papers. And look at the adorable freebie pack of papers! It’s so cute I almost don’t want to open it, but I will, and I’ll make something awesome. Stay tuned for some new quilled jewelry designs coming up! Sometimes it REALLY IS trash! One of my fav flower pictures is made from junk mail my mother got in the mail. I opened it for her and my fingers touched the paper and I thought “wow, this is great for quilling!” So, I have white & black flowers that are just beautiful! 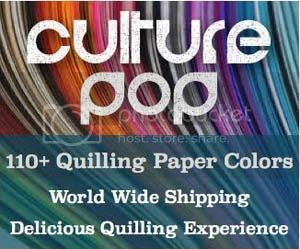 Honey, you are going to really enjoy working with Culture Pop papers. They are crisp and fresh feeling. And as you know the colors are wonderful! Enjoy!!!! Hi, these papers look great. I am thinking of getting some. Have you used them yet? 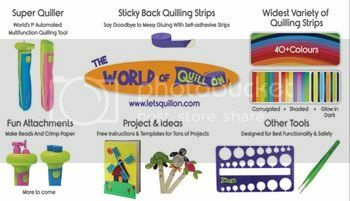 I am new to quilling and based in Australia and it is hard to know where to buy the best quality products. Also because of shipping costs I want to make sure that it’s worth the money. Yes, I’ve used several of the colors now. They are good quality and I like the color shades as well. Some are similar to the colors from other companies and some are different. I don’t think you can find a better international shipping deal.